Some years ago I took my sons, then aged 12 and 8 on their first visit to England. For reasons I wonât go into, my husband was supposed to accompany us but didnât make the trip so it was just me and the two boys circumnavigating England in a Fiat Puntoâ¦ and we did castles. I mean we really DID castles! Starting in the Tower of London on our first day through Warwick Castle, Ashby de La Zouch, York and down into Wales. If you want to see castles then Wales is the place to go. The great castles built by Edward I as a symbol of his power and authority over the rebellious Welsh ring the Welsh border down through the Marches and across the coastline. However by the late middle ages, the need for these great stone edifices had diminished and the wealthy landowners were building elegant houses with minimal fortifications and âall mod consâ. Our adventure was in the days before GPS and Navman and I was driving a car with an 8 year old and a 12 year old who, for all his badges in Scouts, appeared incapable of reading a map. So every evening, in consultation with the road atlas, I would painstakingly write out our route for the day for him to read out loud to me. This system worked well until we got to Wales where all the road signs are in Welsh. The inevitable happened and we got lostâ¦ spectacularly lost somewhere in northern Wales and on a back road I saw a sign that said âGwydir Castleâ. If nothing else it was a chance for a break and to consult the road map and ask a friendly native where we were. 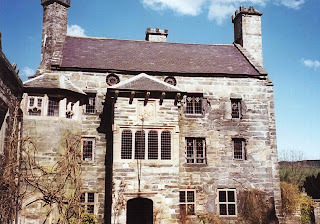 As it turned out Gwydir Castle was not so much a castle as a late medieval/Tudor fortified manor house. 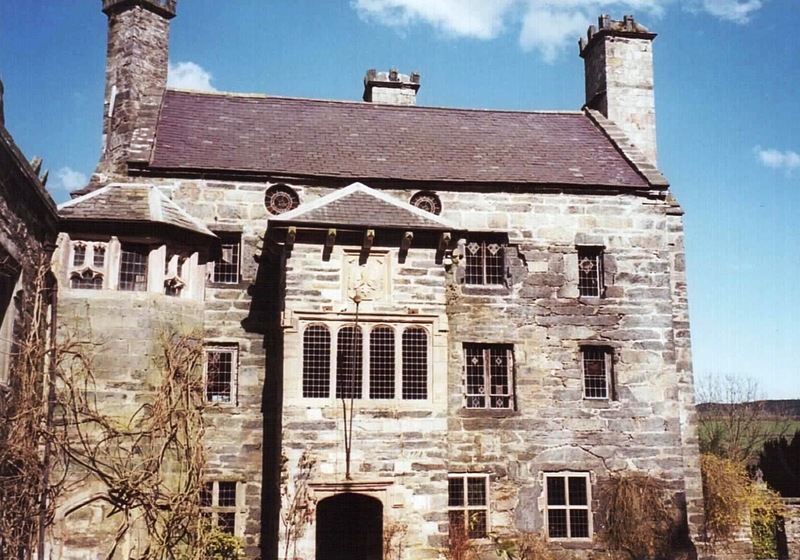 Probably owing to its strategic position in a narrow valley, the site of Gwydir had been in continual occupation for centuries before Meredith ap Ieuan ap Robert, the founder of the Wynn dynasty, built the present Gwydir Castle, using material from the dissolved Abbey of Maenan. Of particular interest to me, as a student of the English Civil War, the house was reputed to have been visited in 1645 by Charles I, as the guest of Sir Richard Wynn, 2nd Baronet, Treasurer to Queen Henrietta Maria, and Groom of the Royal Bed Chamber. It had recently been purchased and opened up to the public by the owners to raise the money to restore it (I believe it is now a B&B). At the time I happened upon it in 1996, these works were very much in their early stages and it was dark, gloomy and overgrown. Everything you would imagine a thoroughly haunted house to be! In preparing for this article I found wonderful images on the internet which bear no resemblance to the half derelict building it had been! I have an interest in ghost stories and the paranormal and while I have not âseenâ a ghost I have visited places where I have felt decidedly uncomfortable and Gwydir was one of those places. 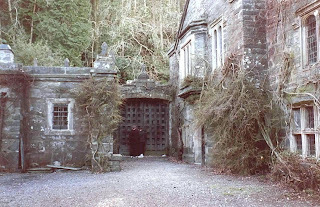 From the moment I stepped through the heavy front gate, it felt as if my heckles went up and I am not surprised to see it described (more recently) on its website as âOne of the most haunted houses in Walesâ. Needless to say we were the only visitors so I got talking to the caretaker, asking her about the spectral inhabitants of the house. The most frequent âvisitorâ is a grey (or white) lady thought to be the ghost of a servant girl who was murdered after becoming pregnant during a romance with one of the lords of the manor and her body hidden in a wall space beside a chimney breast (a priest hole). The presence of this apparition is said to be accompanied by the stench of decaying flesh. It is said that the 5th Baronet confessed on his death bed to a murder in his youth. The other suspect is the first Baronet, Sir John Wynn (whose ghost is also seen) who was reputedly something of a local tyrant. Also seen is a monk (said to have died when trapped in a tunnel from a secret room) and the sound of crying children is also heard. 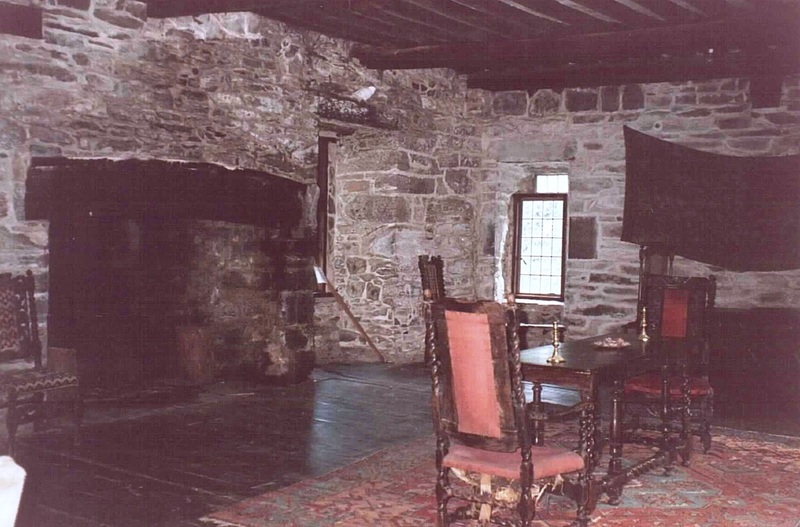 Some years later, the owner of the house found some bones in the cellar during the restoration and had them sent away for analysis. The result came back saying they were the bones of a dog. Conscious that the bodies of animals were often used in the foundations of houses to ward off evil spirits, she restored the bones to where they had been found and the spectral dog has not been seen since. We went on to visit Conwy Castle (where I nearly lost the boys to a harrassed school teacher in charge of a large school group), Ruthin Castle (complete with hokey medieval banquet), Harlech Castle (Men ofâ¦) and my favourite castle, Denbigh Castle but if I look back at that trip, it is the quiet, brooding menace of Gwydir Castle that stays with me more than any of the others! In the shadow of the Great War, grieving widow, Helen Morrow and her husbandâs cousin, the wounded and reclusive Paul, are haunted not only by the horrors of the trenches but ghosts from another time and another conflict. The desperate voice of a young woman reaches out to them from the pages of a coded diary and Paul and Helen are bound together in their search for answers, not only to the old mystery but also the circumstances surrounding the death of Helenâs husband at Passchandaele in 1917. As the two stories become entwined, Paul and Helen will not find peace until the mysteries are solved.